New Year, new opportunities for slimy adventures. 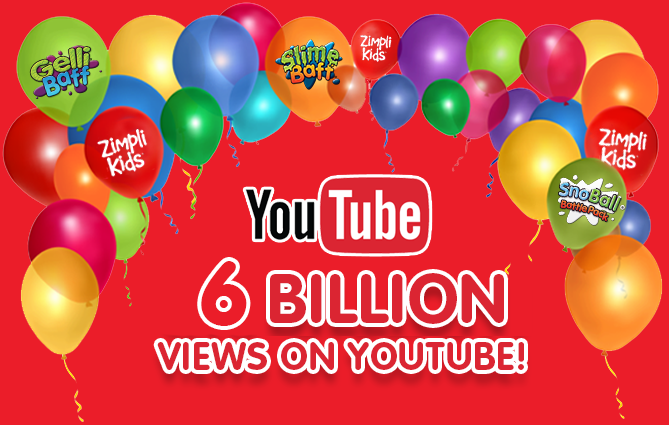 2017 was a fantastic year for us at Zimpli Kids, our famous Gelli and Slime products sky rocketed with the trends – we hope to continue this success into 2018, especially with the launch of our tremendous new products and more. We want to thank every individual who purchased our toys or reviewed our products, either via video or blog and we hope you are as excited about our new launches as we are! Did you know ‘How to make slime?' was the most popular 'How To' query Googled in the UK? The success of slime was crazy, it even made its way into the famous YouTube Rewind. Each year YouTube releases its Rewind video, which is a summary of all the pop culture, news and showbiz trends from the past 12 months. Check it out! As the New Year rolls in, so do the resolutions. We asked you guys about yours and an overwhelming amount replied with 'spend more time with family' - Let us help you with goal by hosting a fantastic giveaway that you can enjoy with your family. One thing that won't be new this year is our stain free, 100% safe fun products. This includes our famous oozy Slime Baff, 3 different colours of Slime Play and our slimetastic Slime Blaster gun which we will be giving away! To enter is easy, simply fill in your email address and a resolution you would NEVER be able to stick to - Make sure to retweet the corresponding tweet on Twitter to confirm, or share on Facebook! A NEW YEARS RESOLUTION I COULD NEVER STICK TO! The giveaway ends on Friday the 19th of January, please note if the corresponding tweet or Facebook post has not shared then your entry will not be confirmed. You are required to send your address if you win so we can ship you the prizes, must be 18+ or have a parent's permission. Zimpli Kids will be attending multiple Tradeshows this year to showcase some of our brand new, exciting products plus share with you what’s in store for 2018! Zimpli Kids are always looking to work and build relationships with enthusiastic and proactive customers. Trade Shows give you the chance to view some of the most unique and innovative children's products on the market!